News: (updated 3/21/19) – Please review the calendar of events page. Some date changes were necessary. Check out the 2019 calendar of events. Show fliers for all the shows are now posted. Meet Shane Ledyard – author/clinician/judge. Shane will be having a one hour talk with the judge session. $15 and $10 for members. This session and a silent auction is to benefit the WRC barn fund. A book sales/signing to follow. See calendar of events for details. T- Shirts with updated logo! Contact any board member for more information. They are Carolina Blue with Black logo. Sizes/availability vary. $15 each. The WRC receives credit for Equine product orders at Valley Vet. Once the club reaches $1000 in equine-related sales, Valley Vet will credit the WRC account $50 to be used to purchase awards and prizes. When you place your telephone order, mention the Valley Vet Club Rewards program and provide your last name and zip code. Valley Vet catalogs are available at the announcer’s booth at the WRC. 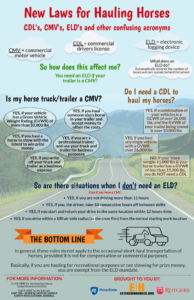 New Laws for Hauling Horses. Click here for more information. Cooling Wrap Directions. Helps keep you cool. DIY. Click here for more information. Horse Health Requirements – Proof of rabies and current negative Coggins must be submitted to the show office. Once on file, no need to resubmit. Back Number Registration Form – Each horse/rider combination is required to have a unique number. This number is used for the season to track points.